Scent: Fresh, balsamic, woody, herbaceous and slightly spicy/floral. Action: Anti-infectious, antiviral, antibacterial, powerful anti-hemorrhagic agent, anti-inflammatory and is a neurotonic for the sympathetic nervous system. Benefits, Indications: Used for mature skin and wrinkles, wounds, boils, inflamed or irritated skin, expectorant, rheumatoid arthritis, induces menstruation, urinary infection, insomnia. Used to warm, increase circulation, calm, reduce stress, uplift moods, loosen tight muscles. More Info: When the thick labdanum oil is warm it is reputed to have the ability to change thoughts, which move emotions back from the brink of negativity, and into the light of connected control. The oil will loosen tight muscles, and improve circulation; it carries more oxygen to the organs and the brain. When stress stretches the nervous system to the point of depression or when the emotions titter. on the brink of a hormonal overload, labdanum will interact with the adrenal glands and begin to balance hormone secretion. Precautions: Although it may be used as a dietary supplement, it is advised not to use it in this manner for children under 6 years of age. 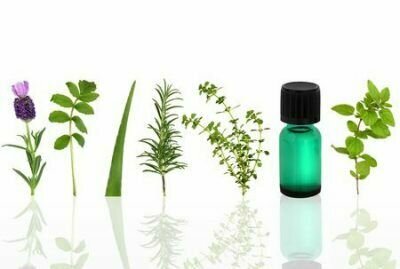 Vibrational and Thermal Studies of Essential Oils Derived from Cistus ladanifer and Erica arborea Shrubs.